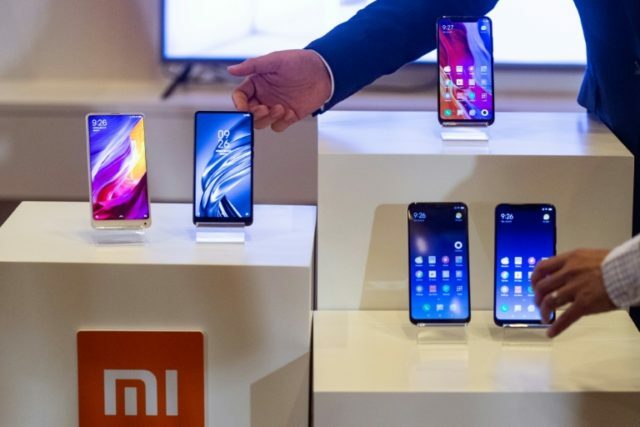 Hong Kong (AFP) – Chinese smartphone maker Xiaomi will aggressively target European markets, using part of the proceeds from its initial public offering worth $6.1 billion in Hong Kong, the company’s co-founder said Saturday. The company is offering 2.18 billion shares at HK$17-HK$22 apiece (US$2.15-2.80), in a bid to raise $6.1 billion, far less than the $10 billion originally expected, as an escalating trade war between China and the US dampens investor sentiment. But at a press conference in Hong Kong on Saturday ahead of its expected listing on July 9, the company’s co-founders were bullish about its prospects, signalling plans for international expansion in Europe and Southeast Asia. “Someone asked me if Xiaomi (will) only expand in developing countries? Last year we started to enter the European market and we realised we have a lot of ‘Mi fans’ in Europe,” Lei Jun, Xiaomi’s co-founder and CEO said. The company will invest around HK$8.3 billion from its IPO proceeds towards boosting its presence in overseas markets including Spain, Russia and Indonesia. The firm, which mainly sells cheap but high-quality smartphones in China, has been looking to push into Europe — recently opening its first flagship store in Paris — as the home market reaches saturation point. “We are planning for the US market and will find a proper timing to enter it,” Wang Chuan, co-founder and senior vice president of Xiaomi, said on Saturday. “Xiaomi is very optimistic about the development of China-US trade, as every economic entity is relying on each other,” Wang added. Founded in 2010 by entrepreneur Lei, Beijing-based Xiaomi has grown from a start-up in Zhongguancun — China’s “Silicon Valley” — to the world’s fourth biggest smartphone vendor at the end of last year according to International Data Corp (IDC). The company shipped 28 million smartphones worldwide from January to March, an 88-percent surge year-on-year. Xiaomi is now valued at about $53.9-$69.8 billion, according to Bloomberg which said the IPO looks set to be the world’s biggest in two years. But on Tuesday Xiaomi put off its decision on listing the CDRs until it completes its IPO, with its management team telling reporters on Saturday that they have no timetable on launching the CDRs. This delay, as well as differing market views about Xiaomi’s business model, contributed to the lower valuation. Lei said Saturday that Xiaomi was a “new species” of company, with a unique “triathlon” business model combining hardware, internet and E-commerce services, even though 70 percent of its revenues come from selling smartphones. According to its IPO prospectus, Xiaomi will use another 30 percent of the funds raised towards expanding its home gadgets business and boosting mobile internet services for its 190 million monthly active users.